Now is not the time for business as usual. Organisations, communities and indeed families need skilled change agents capable of leading and coaching with confidence and integrity. 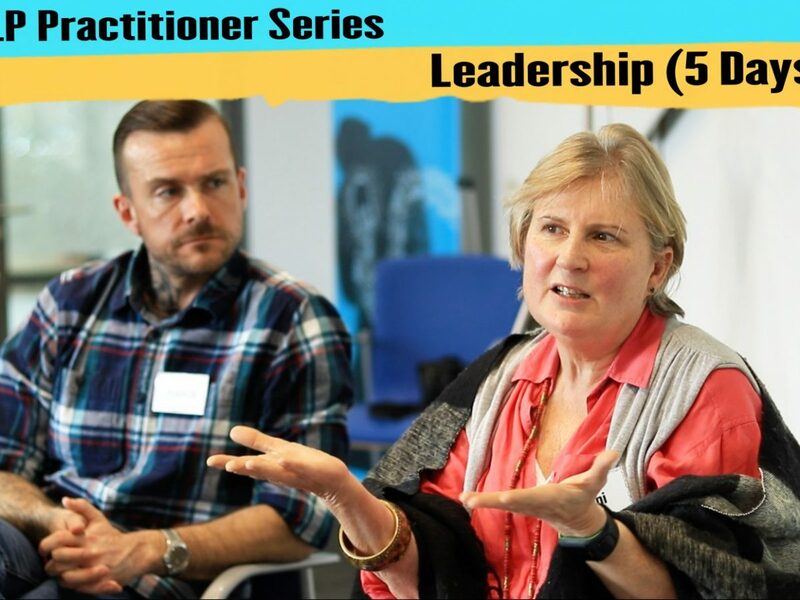 This NLP Practitioner course teaches existing and aspiring leaders and coaches a set of applied psychological techniques that enable them to facilitate pragmatic change, motivate action, and increase engagement. In today’s complex work environment, imparting knowledge is no longer sufficient to guarantee lasting change. Leadership and coaching are more than just buzzwords, they are a set of sublime skills, attitudes and behaviours that can be taught. A successful coaching-leader can congruently and ethically influence their environment and align people behind a shared mission. They inspire action and are able to lead out latent talents and abilities. The 91 Untold Applied NLP Practitioner programme teaches a set of powerful techniques and concepts that enable students to overcome many of the blocks that hold them back, and teaches how to help others do the same. The order of these will vary depending on which start date you choose. 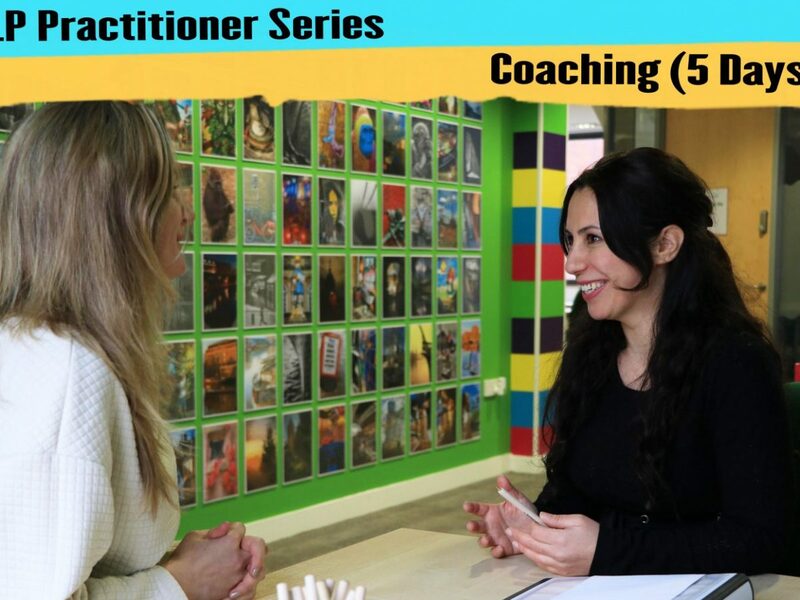 The 91 Untold Diploma of Applied NLP: Coaching recognises how change happens and teaches a set of powerful techniques and concepts that enable you to help others overcome any blocks that hold them back from being the best version of themselves possible and enable them to build personal resourcefulness. In addition, you’ll learn to embody the traits of successful coaches, thus enabling you to build rapport quickly, even with difficult people, and read the subtle signs and signals that indicate what’s going on below the surface so you can explore incongruities between a person’s words, thoughts and feelings. Learn how to connect with people at a meaningful level, no matter who they are. Develop powerful interpersonal and intrapersonal communication skills. Learn sophisticated language skills that enable you to get beneath the surface to really understand what people mean, and help them structure their thinking for the best chance of success. Recognise how habits are formed, and how to dissolve these and instil more resourceful behaviours. Learn principles and techniques that encourage people to take true personal responsibility for their own learning and development. Discover a system for designing compelling goals that radically increases the likelihood of successful implementation. The John Seymour Master Class provides a rare opportunity to work directly with NLP legend John Seymour. John is deservedly one of the most respected and sought after NLP trainers in the UK. With over 30 years’ experience training from his base in Bristol, he has a gift for making the complexities of NLP profoundly simple, and the practical applications life-changing. He also brings real wisdom and humour to his workshops. His level of skill and sophistication is sublime. John was one of the first NLP Master Trainers in the UK and has trained many hundreds of NLP Practitioners, NLP Master Practitioners, and NLP Trainers. Many well known UK NLP authors and trainers started their careers by training with, or apprenticing to, John. John literally wrote the book introducing NLP to the UK and these days it is rare to have the opportunity to work so intimately with him. Students have the chance to model John and his skills whilst participating in a Master Class designed to embed further mastery-level skills and deepen their understanding. The 91 Untold Diploma of Applied NLP: Leadership course teaches you to embody the traits of powerful leaders and to ‘be the change’ in your organisation – recognising that by changing yourself you can influence how others ‘show up’ around you. The programme further distils a set of skills, attitudes and behaviours that enable you to influence with integrity and charisma; aligning individuals or a team behind a shared mission or vision. You will learn powerful communication and negotiation skills, and unpack the mysteries of motivation to maximise the chance of you achieving your goals successfully and inspiring others to do the same. Explore how change happens at both the personal and organisational level. 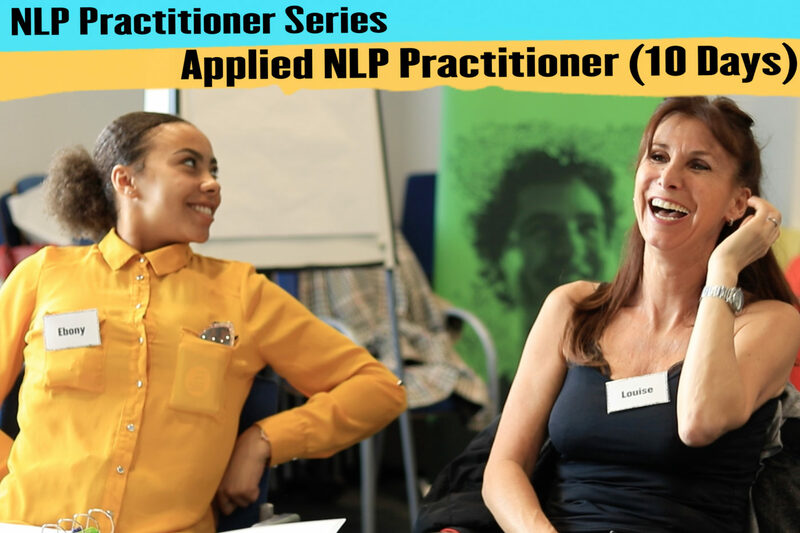 Who joins the Applied NLP Practitioner? This course is delivered by our team of highly experienced trainers led by Neil Almond with a rare Masterclass from John Seymour. It will be suitable for anyone with an interest in developing high quality, practical coaching, leadership or NLP skills. Existing NLP Practitioner graduates may also wish to attend to deepen their skills and learning with an applied focus and to gain confidence and congruence as a coach and leader. The Applied NLP Practitioner (together with the Diploma of Applied NLP: Coaching and the Diploma of Applied NLP: Leadership) are accredited by ANLP. We believe that ANLP (Association for Neuro Linguistic Programming) provide the most robust and unbiased certification processes available in NLP and therefore our certificates include the ANLP seal as a mark of quality. The programme is designed to build confidence and congruence enabling coaches and leaders to influence with integrity, and apply their learning directly in their lives and workplaces. It is delivered as an open programme in Bristol, UK. Our trainings have traditionally run over 18 or 20 days, and whilst we still maintain this approach as the A-Grade in NLP education through our NLP Advanced Practitioner programme, we recognise that the world is changing and that old models need to be tweaked to ensure they work in the modern world.